Update: This post has been updated to include prior knowledge regarding a leaked image of Moto 360 prototypes by Lenovo’s CEO. Update 2: No surprise, the tweet has since been removed after a couple hours. What does the smartwatch in the above image look like to you? 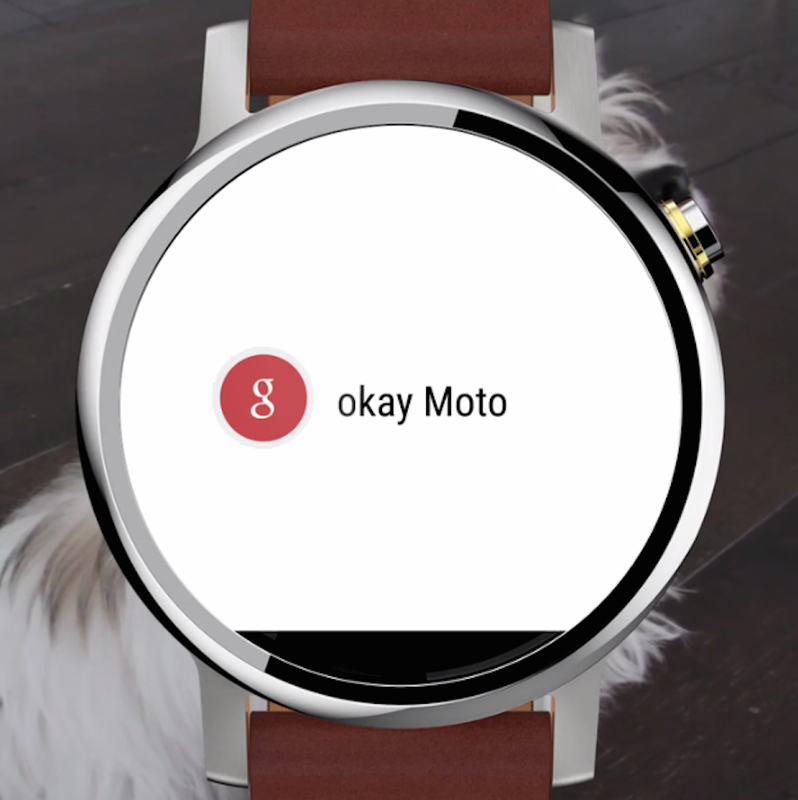 Yes, it looks like a Moto 360 except, wait — it doesn’t exactly. The watch pictured above just appeared in a video tweeted out by Motorola Mobility, and its differences with Motorola’s first Android Wear watch have led some to believe that it’s an inadvertent leak of the company’s much anticipated successor to the 360. The tweet is still live as of writing. Right away there are two noticeable differences between the smartwatch in the video and the Moto 360. The first is that the Moto 360 doesn’t include large lugs — the extensions at the top and bottom of a watch where the band is connected — like the ones seen in the video. These lugs are quite reminiscent of what you might see on a more traditional analog watch. The second difference is minor, and it’s that the crown is slightly higher up on the side of the watch. Now, this could totally just be a poor Photoshop job by an intern or someone else; Motorola might simply have not had a mock watch to use in the video, intended to demonstrate Moto 360’s built-in Google voice search functionality. It’s worth noting, however, that Motorola recently filed tests of Bluetooth and WiFi connectivity on a new “smart watch” product to the FCC recently, and we’re coming up on a year since the Moto 360 went on sale, which happened on September 5th, 2014. The most damning evidence that this is legitimate comes in the form of an image posted several months back to Chinese microblogging site Weibo by Lenovo’s CEO, which pictured what were purportedly unreleased prototypes of a Moto 360. At the time we weren’t sure whether or not the prototypes were of the Moto 360 currently on sale, or of a second iteration, but now they seem mostly confirmed to be of a second iteration by today’s video. Lenovo, for those who don’t know, bought Motorola Mobility from Google back in 2014. The details above make the theorist in me believe that perhaps Motorola scheduled this tweet, as many corporations do with promotional material that’s produced before the company is ready to go public with it, but accidentally scheduled it to go out too early. What do you think?